The region known as Greater Portland and Casco Bay includes not only Portland and its neighboring communities, but also several surrounding areas that are popular with visitors, and stretches north on US-1 as far as Freeport, which deserves a separate description of its own. Because there is so much that is fun to do in this region, we’ll discuss Portland and its immediate neighbors in this post, and the next post in this series will look at Freeport and some of the other neighboring areas. A metro area population of 230,000 and a Portland city population of 64,000, make Portland and its metro area Maine’s most populous. For the visitor from larger cities, such as Boston, New York, London, Paris, Chicago, Tokyo, etc., Portland can be an amazing destination. Small, compared to these other cities, it is easy to find your way around Portland, and it is not far from the busy downtown streets to the bay or to the open countryside. Yet it has the feel of a much larger city, and many of the amenities, as well. A favorite thing to do in Portland is eat. There are many fine restaurants (often far more than you would expect for a city of this size), with chefs who have departed the hustle and bustle of New York or Boston for the more relaxing atmosphere of Maine’s famous port city. Many can be found (with reviews) on the Food in Portland website. A stroll along the Old Port district takes you to shops, art galleries, museums, restaurants and historical landmarks – even a section of the Berlin Wall on display. You can take a sail on an antique schooner, a sightseeing tour of Casco Bay and Portland, walking tours, or even a tour on a lobster boat – pulling your own lobster traps! Visit the Henry Wadsworth Longfellow house and museum, or see a bit of Victorian America at the Victoria Mansion. 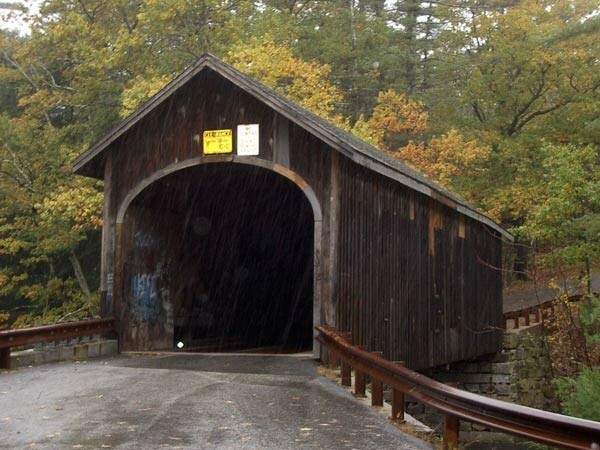 If you are looking for something a bit more rural and unusual, a 30 minute drive west and north will bring you to South Windham, where, on Covered Bridge Road, you can see one of Maine’s historic covered bridges, the Babb’s Bridge, built in 1864 (and rebuilt in 1976 after vandals destroyed it in a 1973 fire). 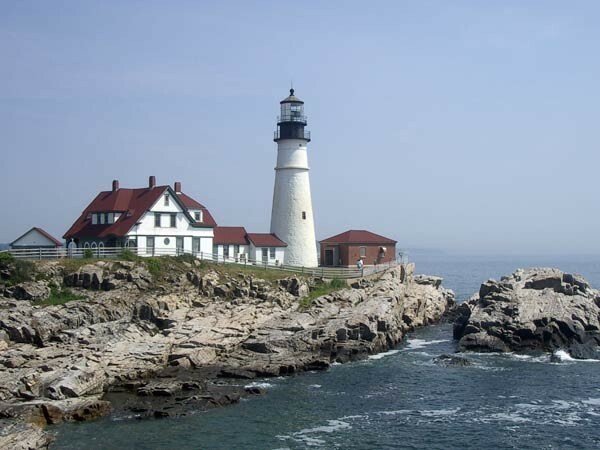 Of course, no visit to Portland is complete without a visit to Cape Elizabeth’s Fort Williams Park, and Portland Head Lighthouse. 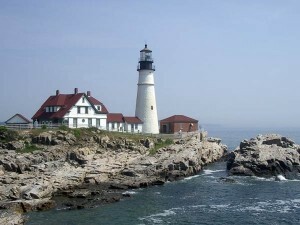 The park is maintained free of any entrance fee by the citizens of Cape Elizabeth as a gift to visitors to the area. There is a small fee to enter the museum at the lighthouse. The park also includes remnants of military forts, an old mansion, a playground and a small beach. It is a great location to spend most of a day. Of course, in a short article like this, it is impossible to discuss every activity in an area, and there are many, many, more adventures to be had in and around Portland.